Set along the east bank of River Nile, Achti Resort Luxor (formerly known as Sheraton Luxor Resort) is a luxury resort that brings you a stunning hotel experience at the equally stunning ancient city of Luxor. The hotel interior, as with the rooms, has a contemporary look yet is characterised with Egyptian touches that help absorb the heart and soul of Egypt. The towering palm trees and lush vegetation highlight the landscape both around the resort grounds and in the wider area. 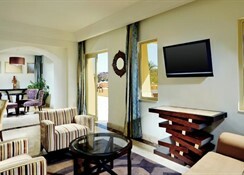 The rooms and the restaurants overlook the Nile River, with the large windows in the rooms ensuring the iconic river is never far from view. There are many ways at the hotel to admire the Nile – whether you're lounging at the sunset area with a drink in hand or watching the river on a moonlit night from the open terrace. 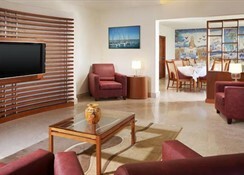 Guests can find plenty to do and relax within the hotel grounds – from heated pools to sports facilities to lounge bars. 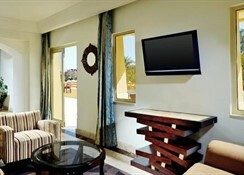 There are also sports options at Achti Resort Luxor, which includes volleyball, table tennis, billiards and mini croquet. Achti Resort Luxor can be reached in 15 minutes from the Luxor International Airport and walking distance from the city centre. A few of the cultural highlights that guests can experience are Valley of the Kings, Luxor Museum, and the ancient ruins of Karnak. These and other amazing sights are easily accessible with a short drive or via the excellent Luxor rail system. Broadly categorised as Classic Rooms, Superior Rooms and Suites, all accommodation units at the hotel have been carefully appointed, featuring exquisite flourishes of Egyptian style amid modern designs, creating a perfect balance between contemporary and culturally relevant aesthetics. All rooms are fully air-conditioned and equipped with Wi-Fi access, television, tea and coffee making facilities, and comfortable beds. 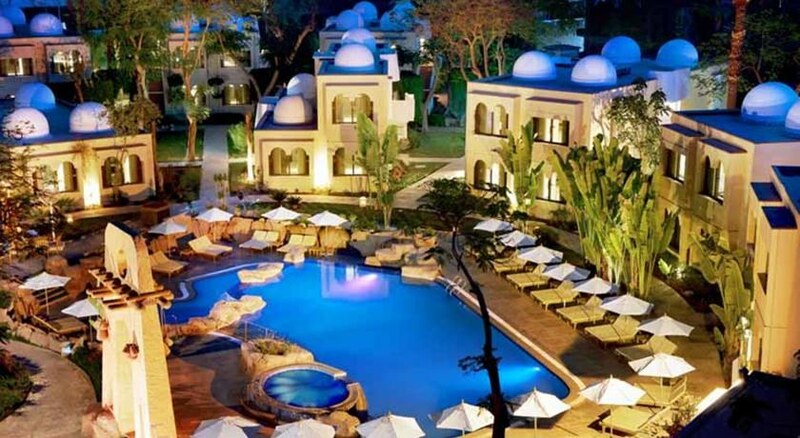 The resort features many rooms that enable guests to view the Nile River; plus there are rooms include incredible views of the beautifully designed gardens complete with lush tropical foliage. Guests can find several restaurants at Achti Resort Luxor, each delivering exceptional and authentic cuisine from across the world. 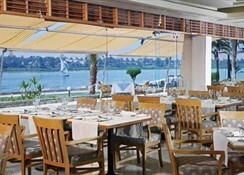 The all-day restaurant Karnak is the main dining venue and serves Mediterranean cuisine, both indoors and alfresco. 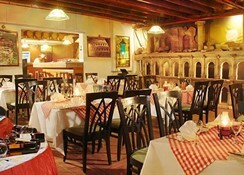 Other dining venues at the hotel include Agra Restaurant that offers Indian dishes and La Mamma dishing up Italian delights. The Sukkareya lobby bar offers snacks and beverages throughout the day. There are also poolside bars and cafes at the hotel. The resort features outdoor swimming pools, heated pool, Jacuzzi and a dedicated children’s pool. There are also a range of sports activities on offer such as volleyball, billiard, table tennis and mini croquet. Golf enthusiasts can tee off at the golf course nearby. 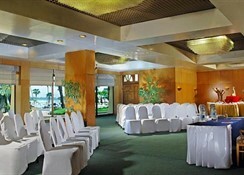 The hotel also features a sunset area – an ideal place for drinks and romantic sunset views. The lobby bar hosts live entertainment events. Apart from the activities at the resort, guests can visit the Valley of the Kings, Karnak, and the Colossi of Memnon all of which feature towering statues and complexes with intricate designs. A trip to the Luxor Museum makes for an ideal starting point to get an overview of the unique history of this part of this world.